Topcat Lite Theme is a responsive, clean and beautiful business and blog style WordPress theme featuring custom menu and custom background, custom header and easy to read typography that scales to fit all screens. Topcat Lite Theme supports widgetized areas (both in the sidebar and in the footer), featured images (thumbnails for custom header images for posts and pages) and optional social menu. 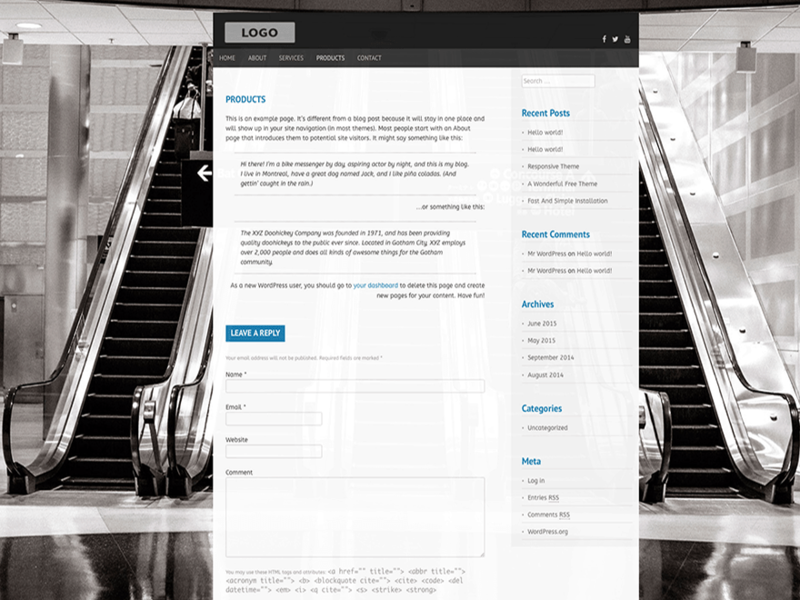 This is fully optimized theme best suited for any kind of personal blog or a business website. Topcat Lite Theme is a production ready theme used for my book WordPress Responsive Theme Design Essentials. Live Demo is available here: https://dejanmarkovic.com/wordpress/.